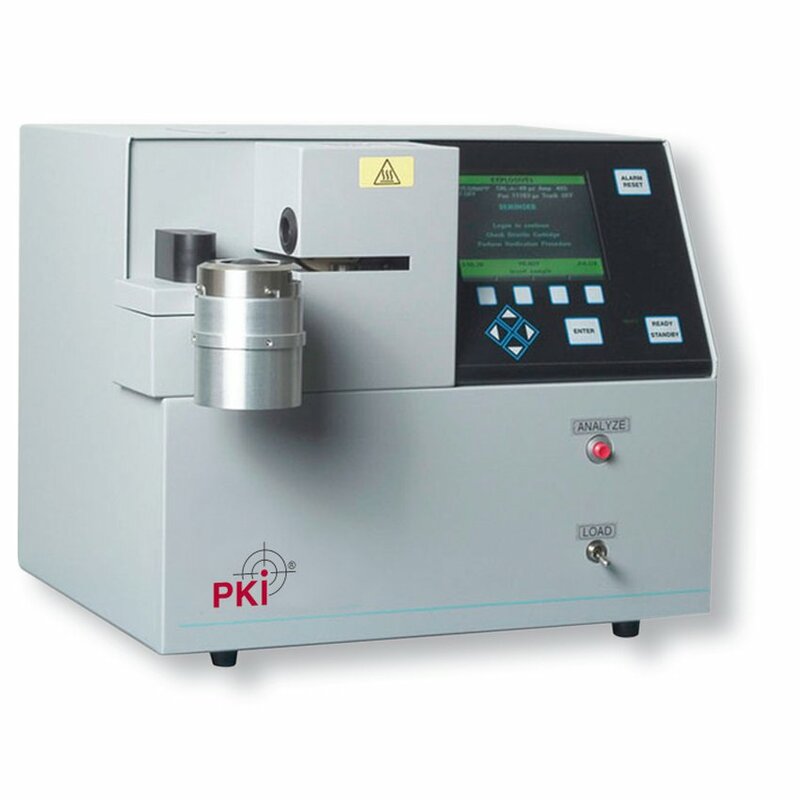 The PKI 8300 is designed for detection and identification of more than 40 different explosives or traces of narcotic substances in a quick 8 second analysis. Samples can be taken by simply swiping passports and other travelling documents over the sample disc. In case of detection the substances are identified and indicated on the display. If explosives are detected it means that there are smallest quantities of a particular explosive substance on the sampled document. This shows possible presence of explosives or indicates that the person might have been in contact with a bomb perhaps when preparing it.